Your Phoenix, AZ custom powder coating and metal fabrication specialists since 2009. 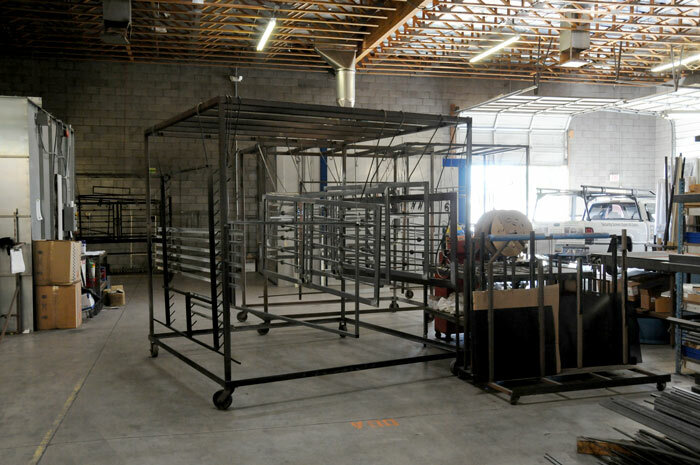 At Steel Advantage Powder Coating & Metal Fabrication we bring a decade of experience in helping you with a variety of metal fabrication, sandblasting and powder coating services here in Phoenix, AZ and the surrounding area. As part of the Eco-Advantage family of services, we’ve been collaborating with you on your custom patio furniture and custom security doors and gates since 2009. Powder coating is a revolutionary process that actually both protects metal while also making it look great. We never paint anything we make at Steel Advantage Powder Coating & Metal Fabrication, but powder coat instead because it makes everything we create whether it’s a custom job for you or one of our products for our sister company, Eco-Advantage, rust resistant, chip resistant, peel resistant, and protects all metal from wear and tear. But you don’t have to be purchasing new items from us to benefit. In addition to metal fabrication, we can also provide powder coat your existing metal pieces. Plus we’re a full-service metal fabrication facility which means we can construct just about anything you can imagine that can be made of metal in our Phoenix, AZ iron works and we can restore or repair your security doors and gates as well. There’s a lot of competition so why choose us for your metal fabrication and powder coating needs? We provide you a quick, 7-day turnaround. Our selection of over 200 colors. We specialize in both residential and commercial powder coating and metal fabrication services. We provide you with an optional pickup service. Our commitment to service evidenced by our 100% customer satisfaction rating and Best Price Guarantee. When you’re looking for powder coating or sandblasting services, look no further than Steel Advantage Powder Coating & Metal Fabrication. Call us for an estimate on your project today.